All our PHP hosting plans include free SSL certificate and free https protocol hosting, so your customers can browse and purchase with peace of mind. Avoid the pesky google chrome security warning with our free SSL certificates. Our premium PHP web hosting plans are super fast, with low contention for CPU, and maximum speed connections to the internet via the AWS network. Get 2 months free on annual plans. Get an additional 25% off your second and subsequent websites. No contracts, no minimum terms, cancel anytime. Note: your website status must be live before you can get access to our PHP server. There is no trial period for PHP website hosting. - Free SSL certificate from letsencrypt.org, and free SSL setup and installation. https protocol hosting by default. - 6x Email mailboxes included and unlimited email forwarding rules or aliases. - Access to our CMS control panel, where you can manage your domains, DNS records, email, and view web statistics. - Additional services such as cron jobs, postgresql, additional databases, etc available to all premium hosting plans, and subject to a small fee to enable the service. Do not compare our prices with discount hosting companies. We will host your website with low CPU contention, on custom built high speed web servers, built on AWS infrastructure based in Sydney. Our target CPU usage is 2-5%, which leaves 95% machine idle time to cope with usage spikes. Our infrastructure will auto scale to deal with higher loads and denial of service attacks. Discount web hosting providers need to host thousands of websites on a CPU before they can turn a profit. It only takes a few bad websites to hurt the others. Ultimately, you would want your own CPU, and we can offer dedicated CPU just for your website, on our highest unlimited traffic plan. We provide multi A-Z redundancy on your MySQL databases, and hosting. Should our main data center go down, your database will still be up, and traffic will automatically transfer to our other servers, thus minimizing outages even in the worse case scenerios. 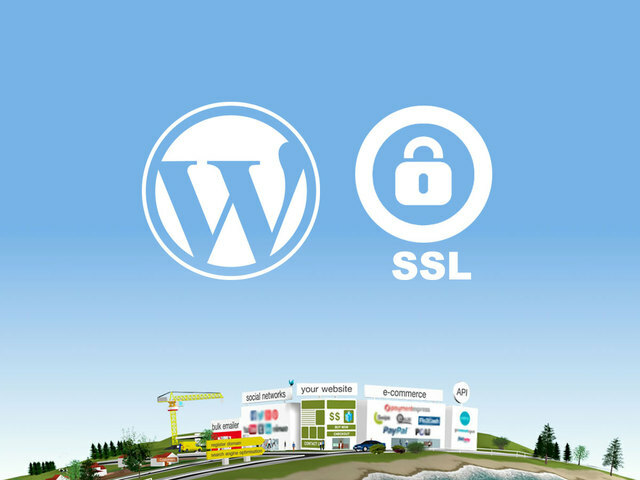 All our PHP hosting customers get SSL certificates included, with https protocol by default. If your business really matters to you, don't host your website with the cheapest provider. When your website goes down, or goes slow, then you can lose business. You should only choose quality web hosts, who are available by phone and email to resolve your issues. Need a Wordpress Design Expert? Website World have teamed up with Little Biz Online to provide word press design services and paid support for Wordpress websites. Please contact Little Biz Online if you want a new Wordpress Website. If you already have a website hosted elsewhere, then we can move it to our servers for just $100+gst. We either require access to your control panel, or you need to provide a database export file plus a zip of your website files. We will then coordinate a time for the transfer. You may wish to do a final database export closer to the changeover time. Domains can take up to 48 hours to transfer, but we will wind down the TTL if we have access to your domain control panel. PHP websites are hosted on AWS servers in Australia. We can alternatively host in Ireland or USA. Please let us know where you want your website hosted. NZ customers will be well served by our AWS sydney location, with good speeds. This hosting location will not affect your SEO for ranking on NZ searches, so long as you use a .nz domain. We host PHP on Debian. Sometimes, the latest version of PHP is not available on the current stable version of Debian. So our solution is to run multiple PHP servers, running different versions of PHP and Debian. If your website does not run on the latest version of Debian and PHP, then we can simply configure your DNS such that your website will run on an older version of PHP until you have time to upgrade your website CMS. Likewise, if you need something special to make your website hum, then we can build a custom box for you.